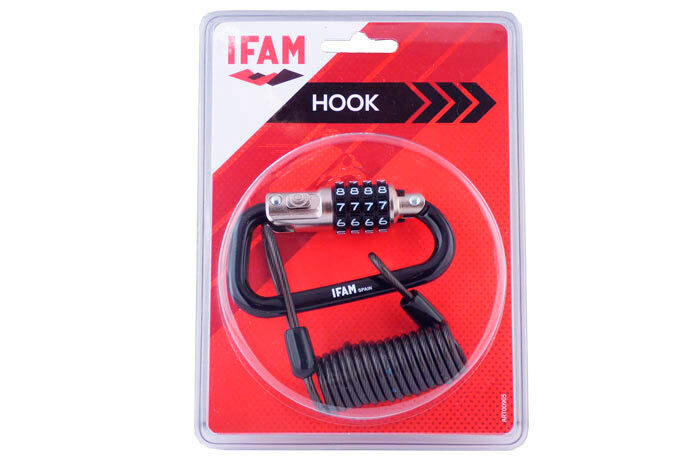 The Hook model is an accessory product in IFAM’s line of motorcycle locks. 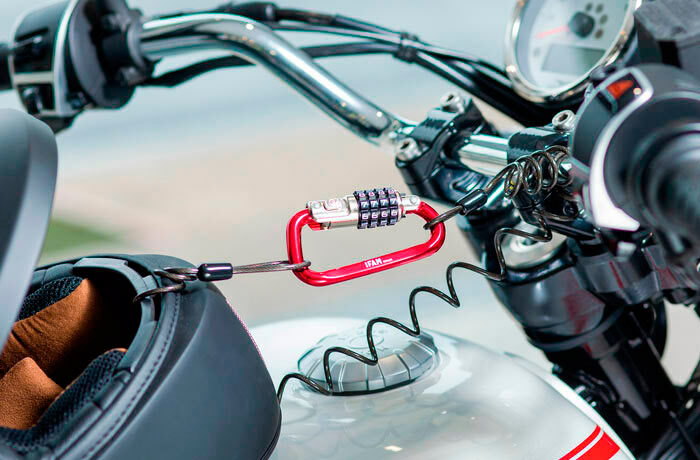 This carabiner and cable combo is perfect for leaving your helmet secured to your motorcycle. 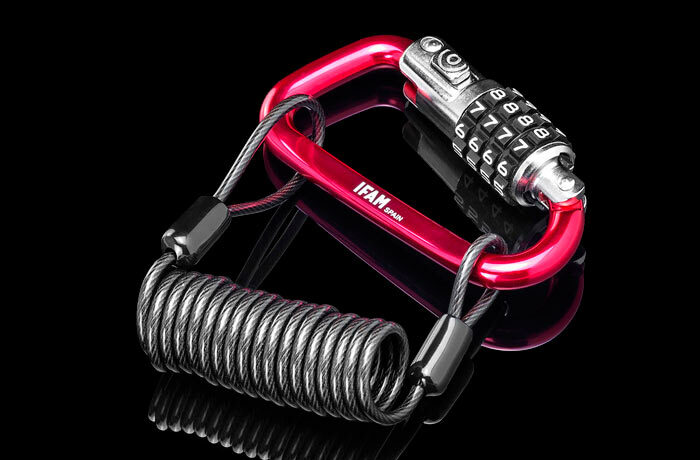 It also has the advantage of not needing a key. It’s opened and closed using 4 rollers, which allows you to choose your combination from among 10,000 differs. 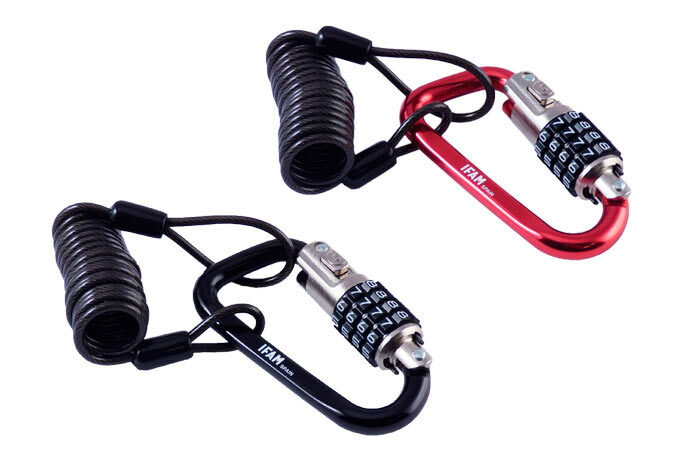 Carabiner: – Made of zinc alloy. – Covered in a weather-resistant paint. Cable: – PVC covered braided steel cable. 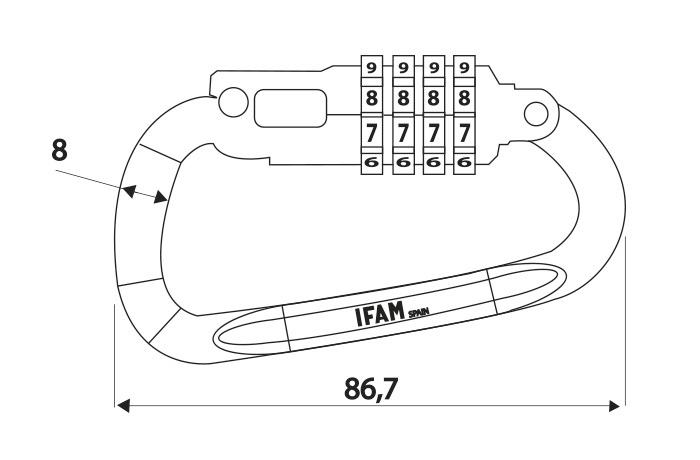 Opening /locking: – 4 dial combination lock. – 10,000 differs to choose. – Available in 2 colors: red and black.